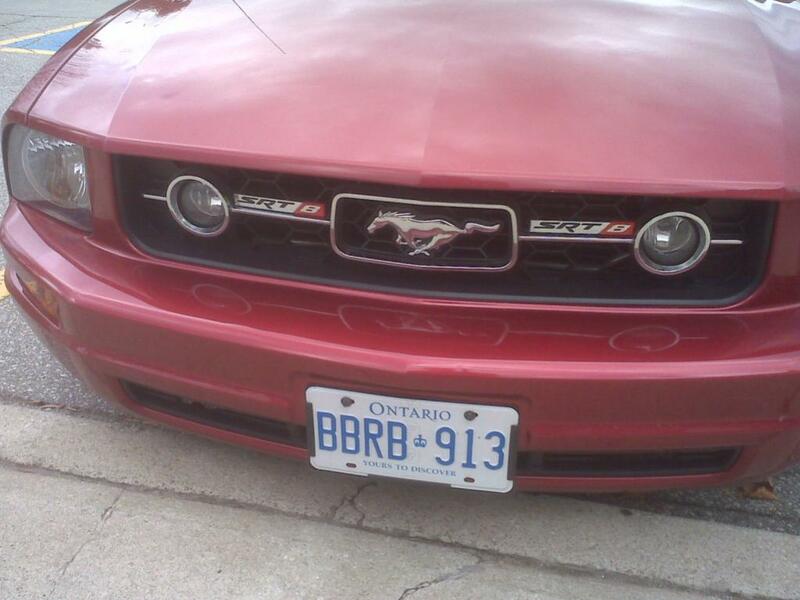 This 6 cylinder Mustang was spotted in Toronto, Canada. The owner installed several SRT8 badges on it. This is not only up-badging, but cross-badging, as well. A major violation! What is this guy thinking? maybe it has a 6.1 in it with a fake single exhaust. 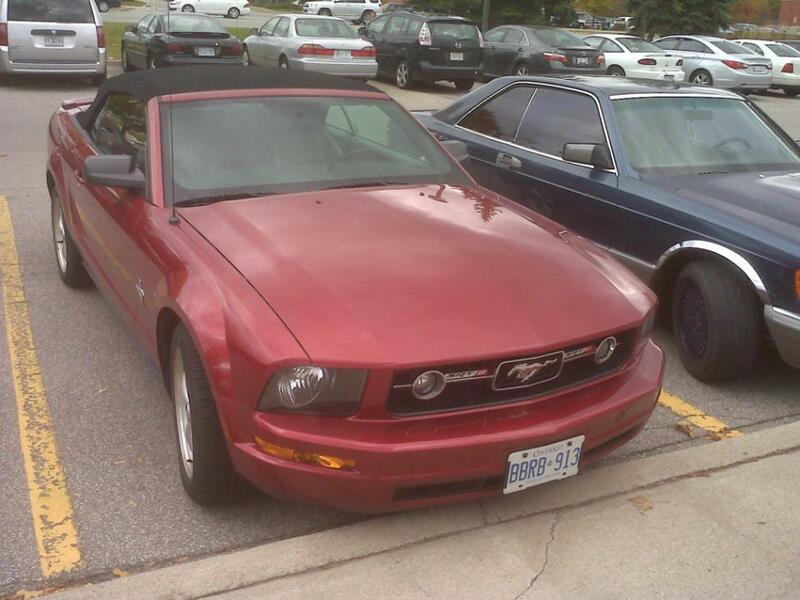 That's what was thinking: the only way to salvage this is a 6.1 swap. Though why you would bother rigging up the fake single exhaust while also slathering SRT badges on there is beyond me. How about this though: he's running open headers, so the exhaust system isn't even connected! It's just there to make it look more legal. There are somethings I will never understand, this is one. How about this though: he's running open headers, so the exhaust system isn't even connected! It's just there to make it look more legal. i can get on board with this theory. I think he's suffering from an acute infection of "Challenger envy". Its the worst case of buyers remorse I've ever seen. If he 's trying to get 2 groups of automotive enthusiasts mad at him I think he has succeeded in doing so. Very strange indeed! I think he should upgrade the tires as to not get in trouble with the 170 MPH speed that car can now reach with SRT8 on it. LOL. 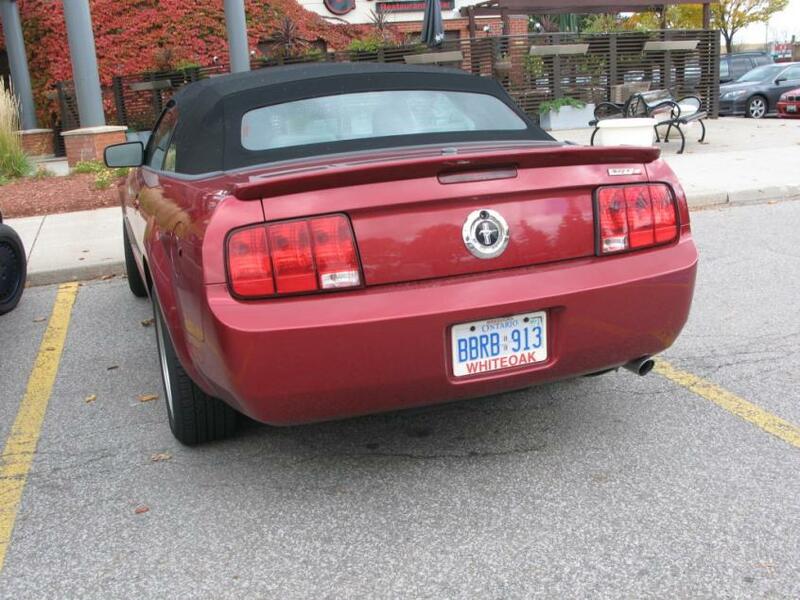 He should of at least left it in the Ford family. Maybe GT. Quick Reply: A Major Violation!